A pendulous bell is warning us that the clock has struck midnight. As if awakening from a horrid nightmare, we hear a gasp cut through the abrasive wails of the bell. A bittersweet vocal clings to a tempered guitar part that slowly skulks about in the distance. A softly spoken prayer joins it, followed by an electrified guitar that seems to emerge out of the ethers like some sort of fabled magic. Without warning the guitar ignites a blaze that wraps us in melodic flames and drags us asunder, into the deep core of human emotion at its most raw and real. This is “Midnight Prayer,” just one of ten new songs that Brady Novotny’s Passions Collide brings to the table ready to slay your stereo mercilessly. “Midnight Prayer” isn’t the only slice of sonic heaven that you’ll find when scanning through these tracks driven by the gargantuan grooves of Mr. Brady Novotny. The intensity and bombastic beats have actually slowed down quite a bit by the time we reach this part of the album; after all, early on we’re beaten into the ground with the title track, taken for a trip to the southern dessert in “Cara Bella,” through Bayou swampland in “Heart’s Fire” and into a faraway psychedelic dimension with “Soul Harmony.” Passions Collidestarts off as heavy as an elephant and gradually finds its softer side, though I will say that its definition of “soft” and that of a Delilah-anchored radio station is, unequivocally, a bit different. Personally I found “Ancient Romance,” the title track and the pensive “Blue Rose” to be the most evocative of the record. “Ancient Romance” alone is strong enough to build an entire album around, while the more modest “Blue Rose” carries so much emotion and angst that its lyrical content almost distracts us from really understanding its deeper, unspoken narrative. For being an LP that is all about guitars, there’s a poetic feeling to the music of Passions Collide that would exist whether there were vocalists appearing on it or not. I would argue that the instrumental songs are a touch more inspired than the ones that aren’t, but to say that this album is even the slightest bit fragmented would be an unquestionable falsehood of criminal proportions. 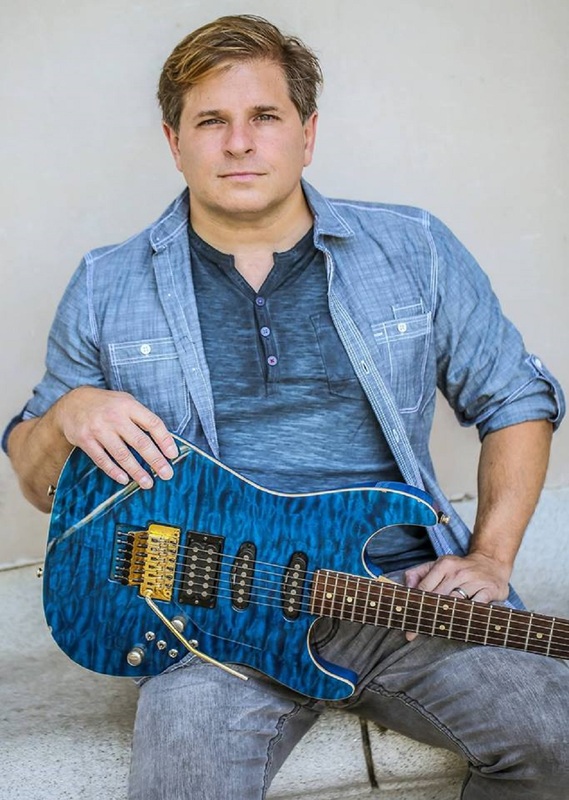 A true master of the six string like the guitar gods of old, Brady Novotny hits it out of the park in his new record and leaves an impression that audiences won’t soon forget. I hadn’t really heard much about Novotny prior to picking up this album for the first time and becoming entranced by its hypnotic sway, never ending swagger and incalculable appeal on a lazy afternoon when there’s nothing to do and nowhere to go, but you could definitely consider me a legit fan from this point on. Novotny is a dynamic player who doesn’t necessarily strike me as someone with a big agenda on the other side of his work. He plays for the sake of playing, and that doesn’t just make him a cut above his peers, it makes him a worthy role model for any young guitarist coming up in the music industry today.